Every day when I perform an examination on a new patient, they tell me that they have posture that “stinks or is awful.” They knowingly report this as if it is part of who they are, and they are stuck with it for life, as a character trait. Our posture CAN actually define who we are, but only because poor posture is portrayed quite differently than proper posture. When you sit or stand straight, you exude confidence and strength, and appear healthier and more attractive. Who wouldn’t want that? happens to be the window to your spine, and if you present with unlevel shoulders or hips, or your head tilts over to one direction, there is a good chance (100%) your spine is not straight either. The spine protects the nervous system, which controls all functions of the body, so when the spine is out of alignment it creates blockages, and the body cannot function ideally. This means pain, sensory issues, behavioral issues, digestive or sleep problems, and more. So, poor posture can create an unhealthy spine, and a misaligned spine can cause poor posture. It’s a lose-lose situation. T here are many more reasons for having strong posture, from helping with balance and strength, to improving motion. But I saved the best reason for being posture “perfect” for last. Poor posture doesn’t just affect how you portray yourself to the outside world, or affect your spine and nervous system, which ultimately alters your good health. Poor posture decreases the longevity of your life. It decreases your life span, and makes you die sooner than you should. I could explain that poor posture affects balance, and this makes it more likely that you will fall as you age, and break a bone, which generally leads to more broken bones, which then takes years off your life. But, rounded shoulders, and carrying your head in front of your body, literally compresses your heart, lungs, and abdominal organs, and can create health conditions that will cut your life short. Unfortunately, due to our technologically advanced world, our posture is getting worse, and at a much younger age. We mistakenly expect that as we age, we might not be able to hold ourselves up as easily, but it is happening at an alarmingly young age. I see toddlers in my office using cell phones for distraction, and the teenagers seem to greatly abuse their tech usage. I didn’t get a cell phone until I was in my thirties, and I can see how easily it could be used improperly. The term “tech neck” was coined for a reason. Our bodies were not designed to sit for hours at a desk on a computer, or to sit in a car all day, or slouch over our phones and laptops. But we also shouldn’t just accept that we will develop poor posture as we age. It is easier to prevent than to correct, but it is never too late to start changing. What Do We Do to Improve? The good news is that your posture can be changed. There is always room for improvement. If you want to lose 10 pounds, you must eat well and exercise more. So, if you want better posture, better health, a longer life, you must work at it. And it will be a constant work in progress. Get up and move. Do not sit at a desk for more than 30 minutes without walking around. Set a timer or alarm. Good posture comes from your core. Opening up your abdomen naturally brings your shoulders back, and your head over your body. Prop up phones and computers so that your eyes are always looking out at the horizon and not down. Perform daily exercises that strengthen core, improve balance, and correct posture. Take our Posture Class offered monthly to learn about your posture and how to correct it. Posture conscious motion teaches you to be aware of your posture, and strengthens the core muscles that control posture. preserve your back as you age, and boost your overall confidence. 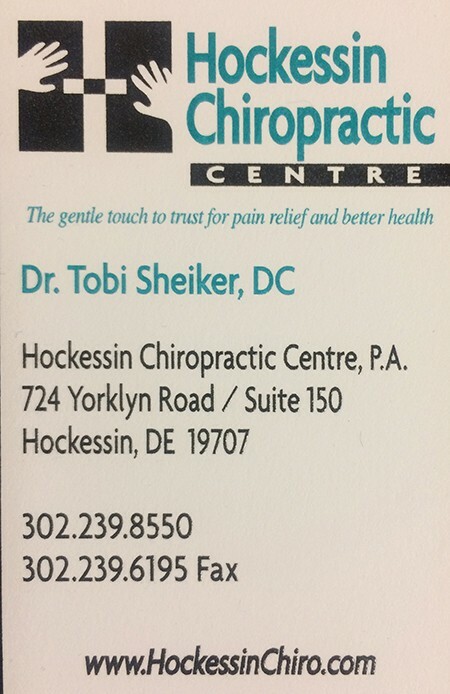 “I discovered Chiropractic Torque Release Treatments offered by Dr. Tobi Sheiker. After two weeks of treatments, I experienced a dramatic reduction in lower back pain and reduction in incontinence. Within one month the pain level continued to decrease in my back and the incontinence continued to improve. Within two months my Crohn’s Disease diarrhea went from five movements per day to one. In that same time period, my lower back pain during the day went from a 9 to a 1 and from a 9 to a 2-3 at night. The unexpected benefit of incontinence went from 4 pads per day to one small shield per day. That alone was worth the treatments”! –J.K.